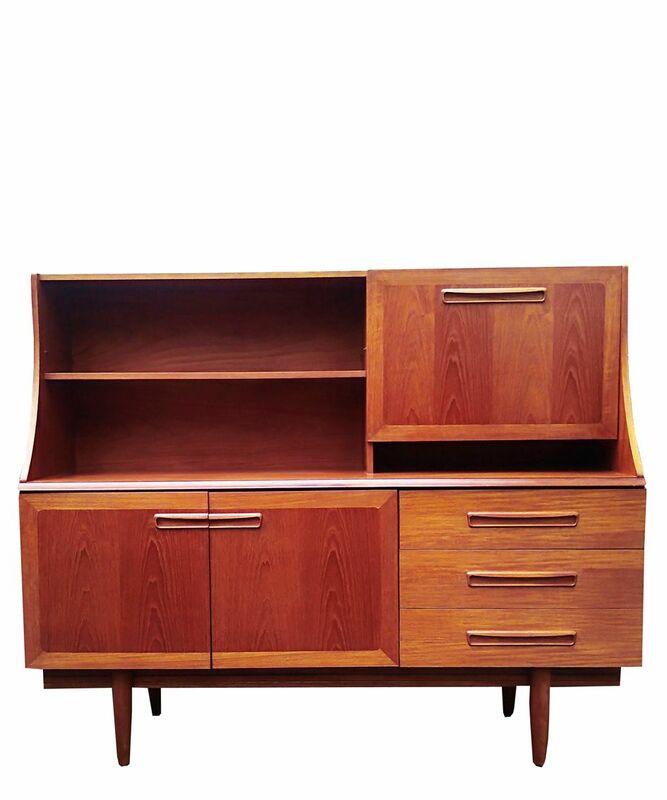 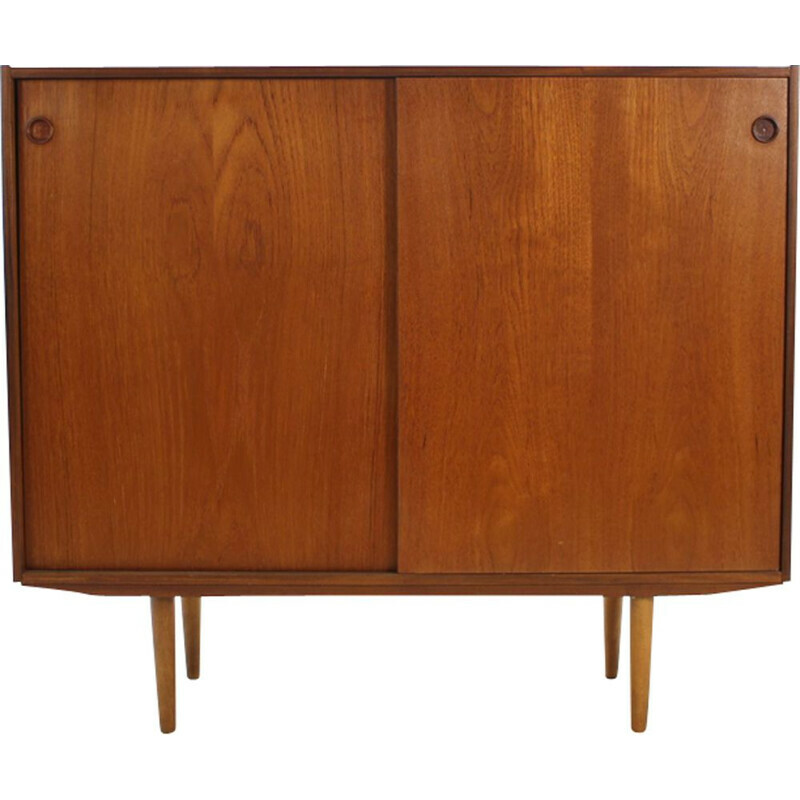 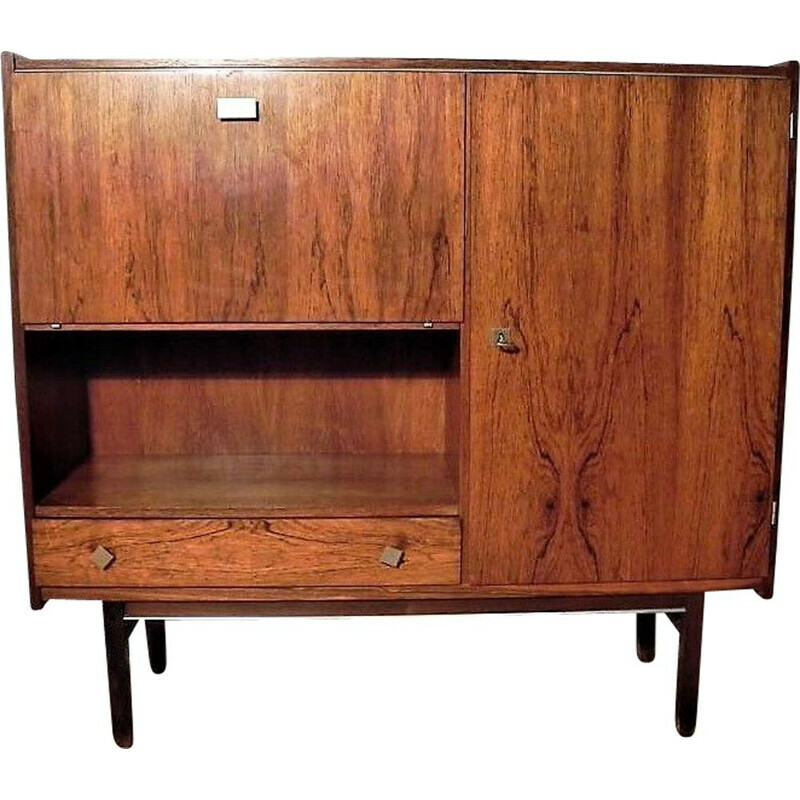 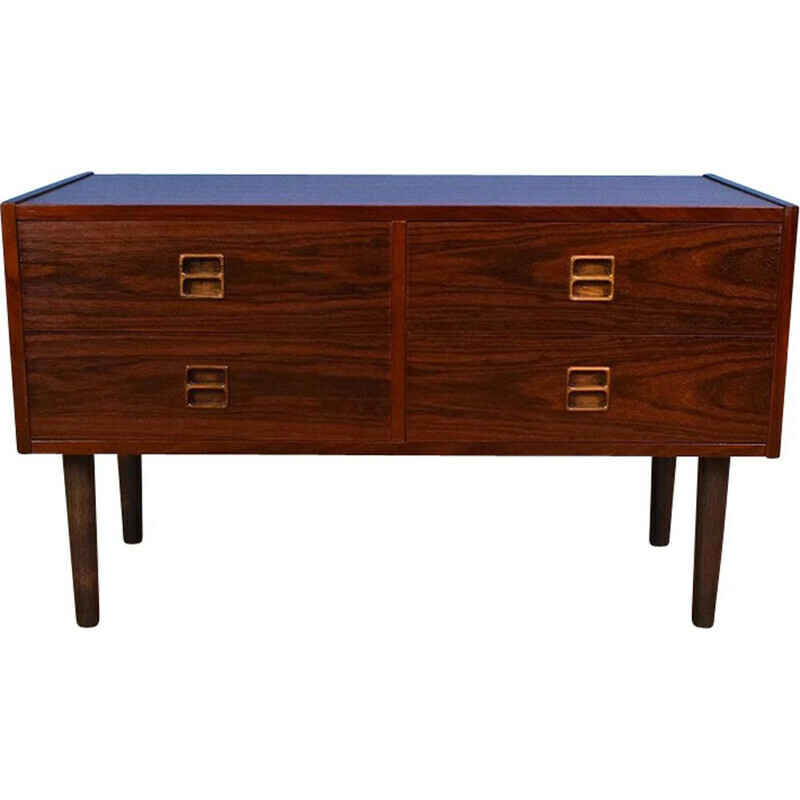 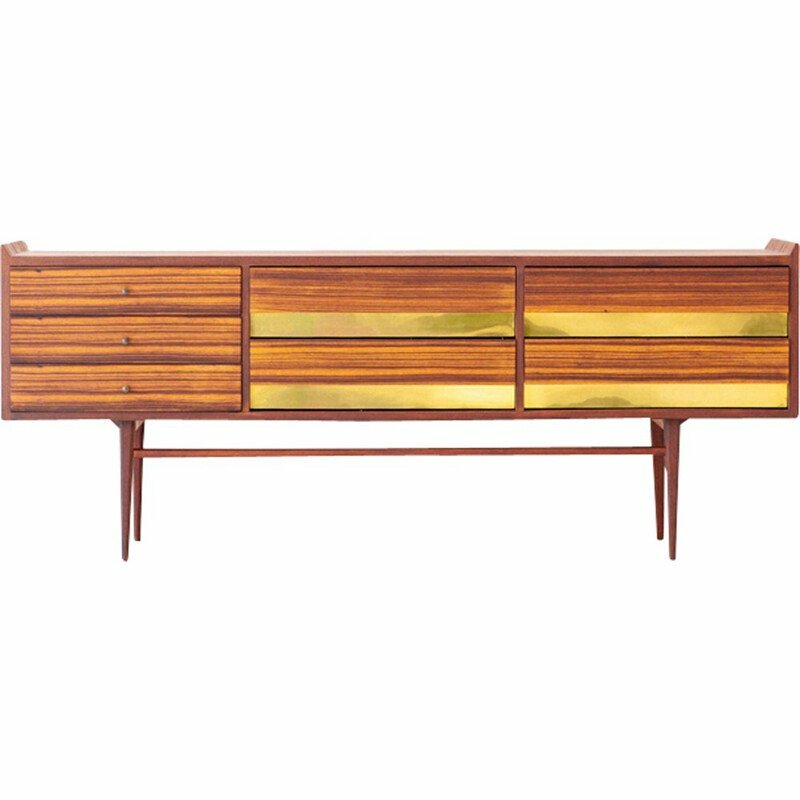 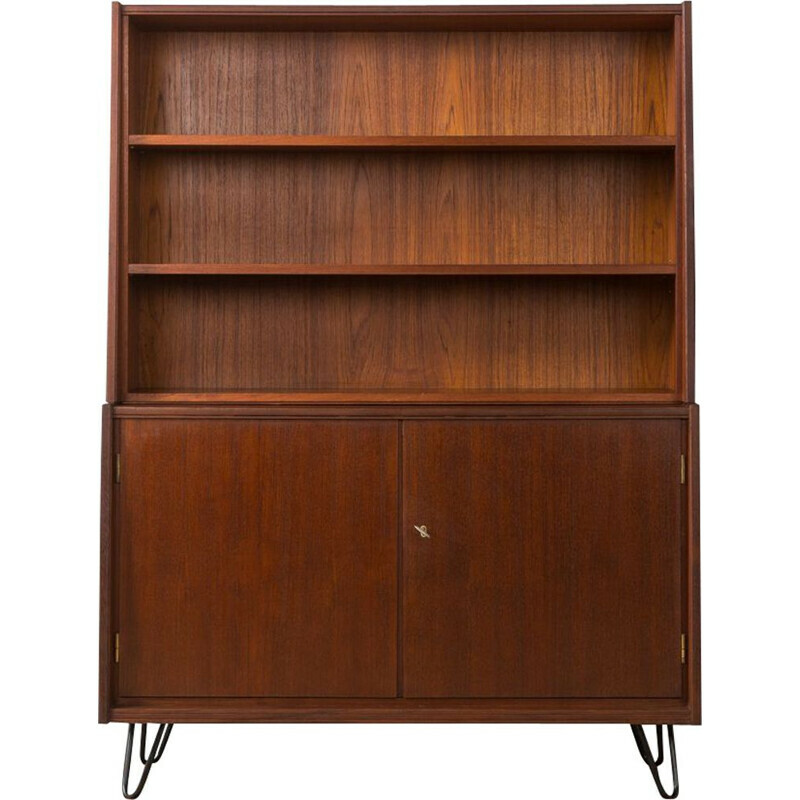 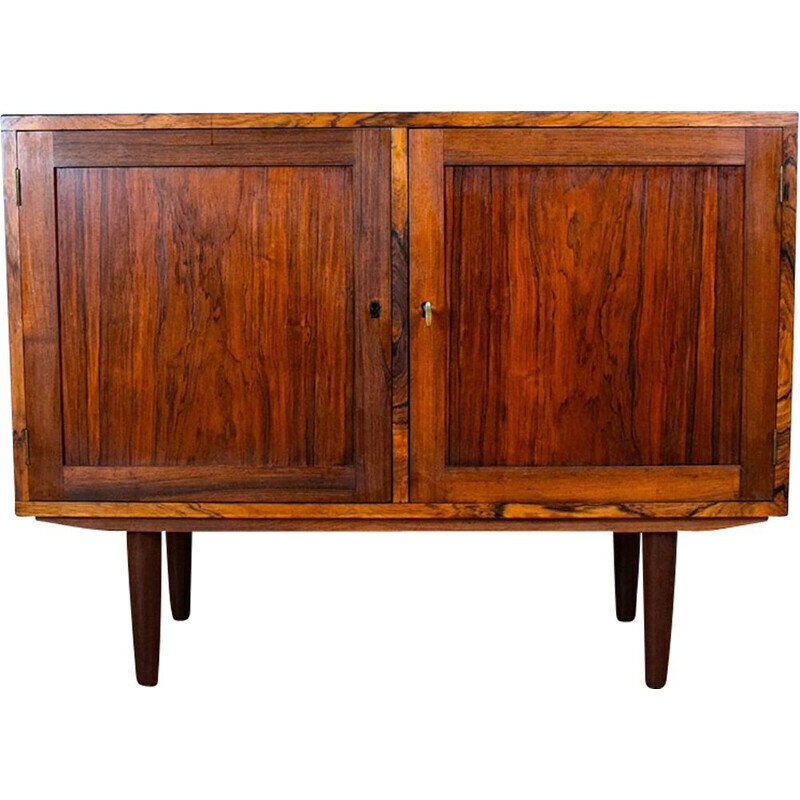 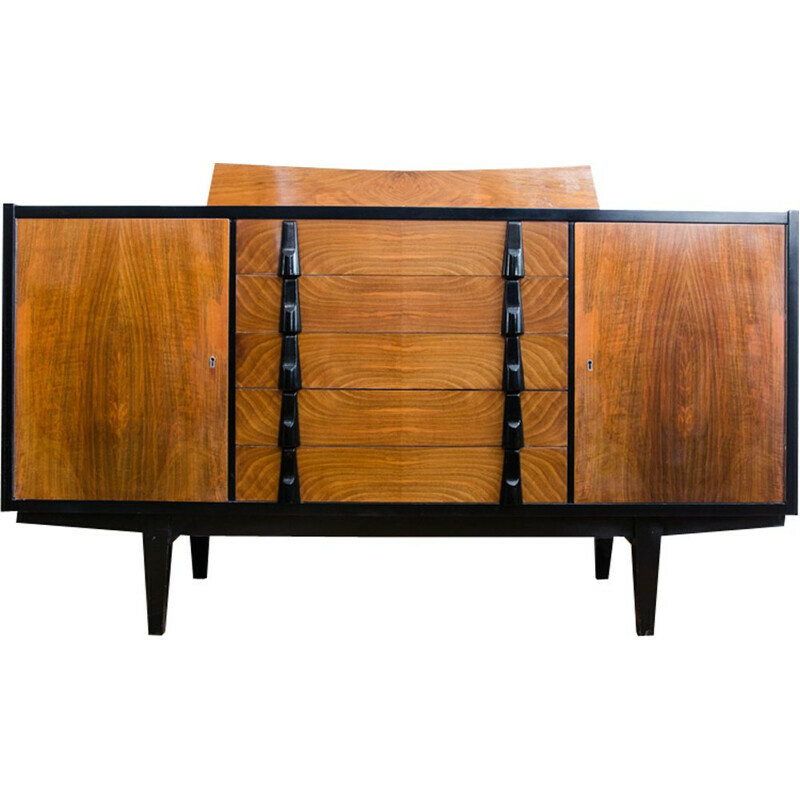 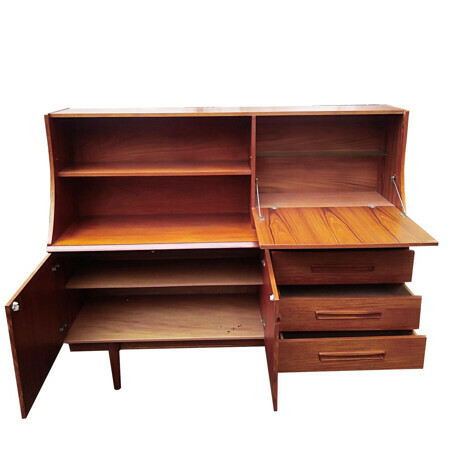 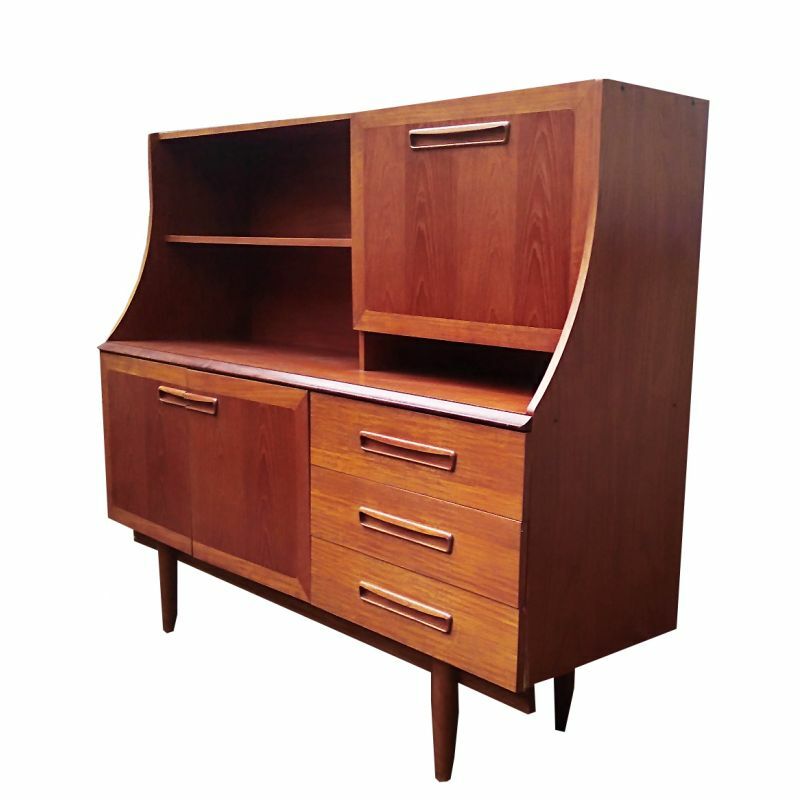 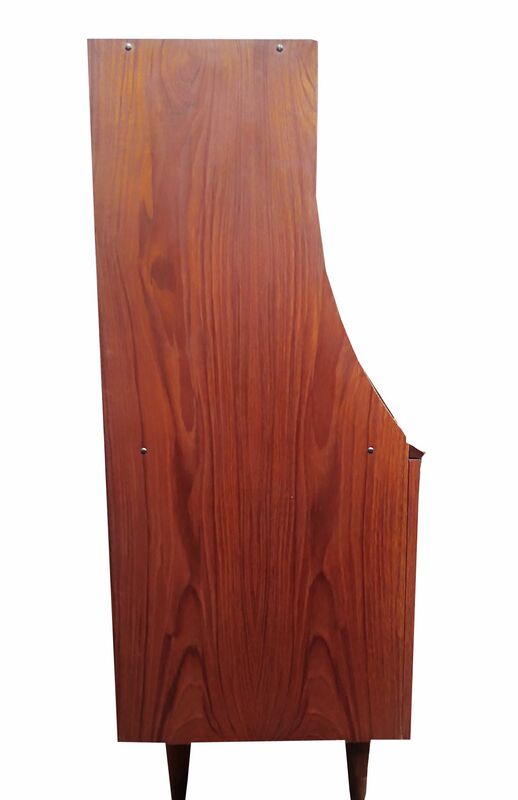 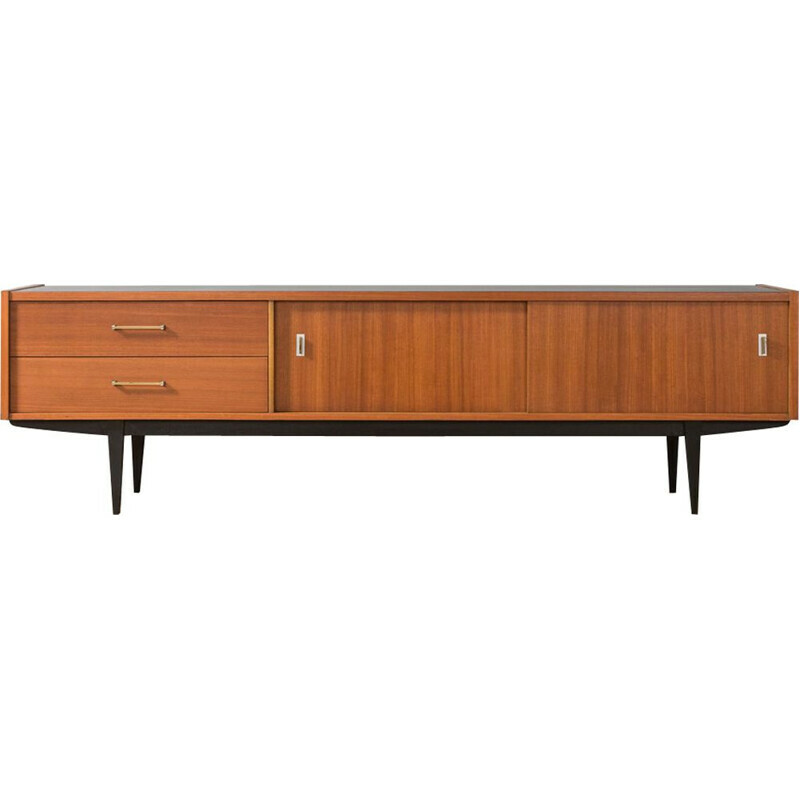 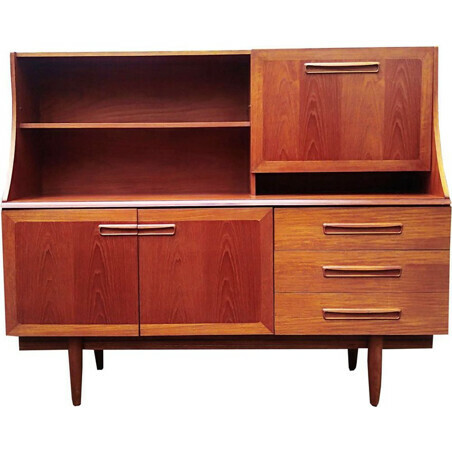 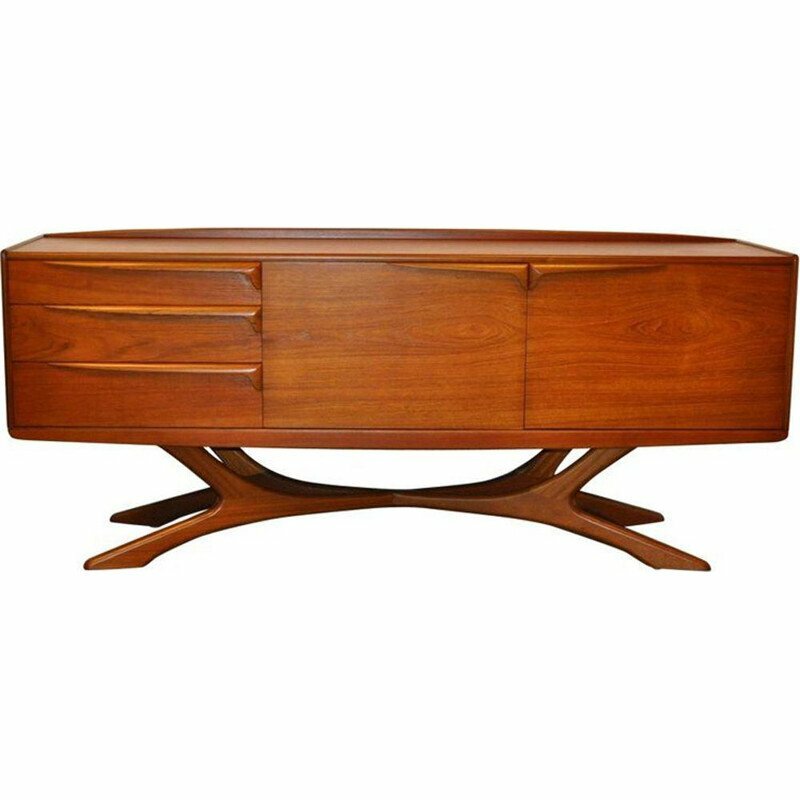 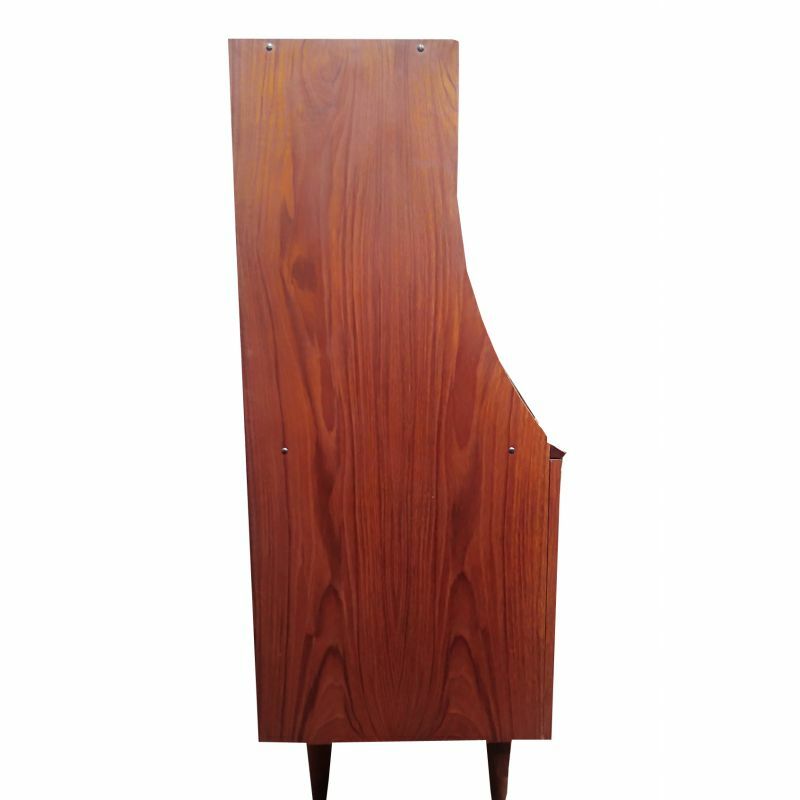 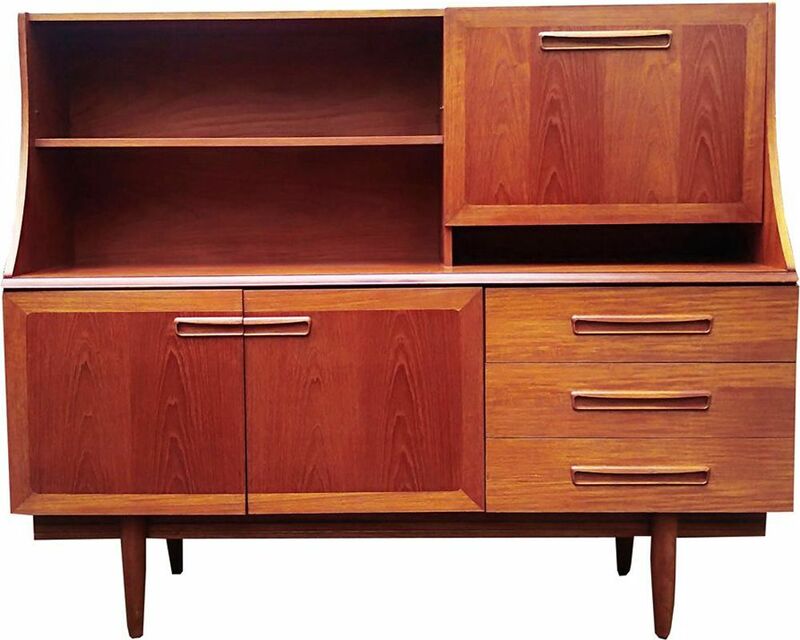 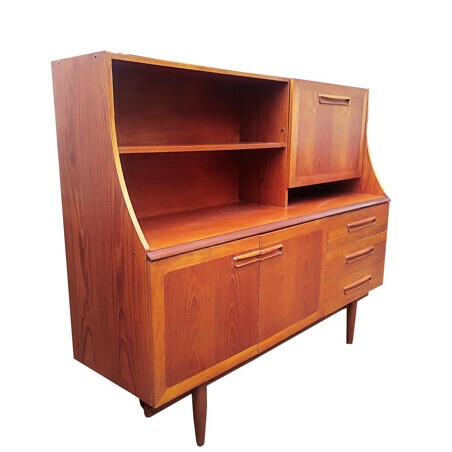 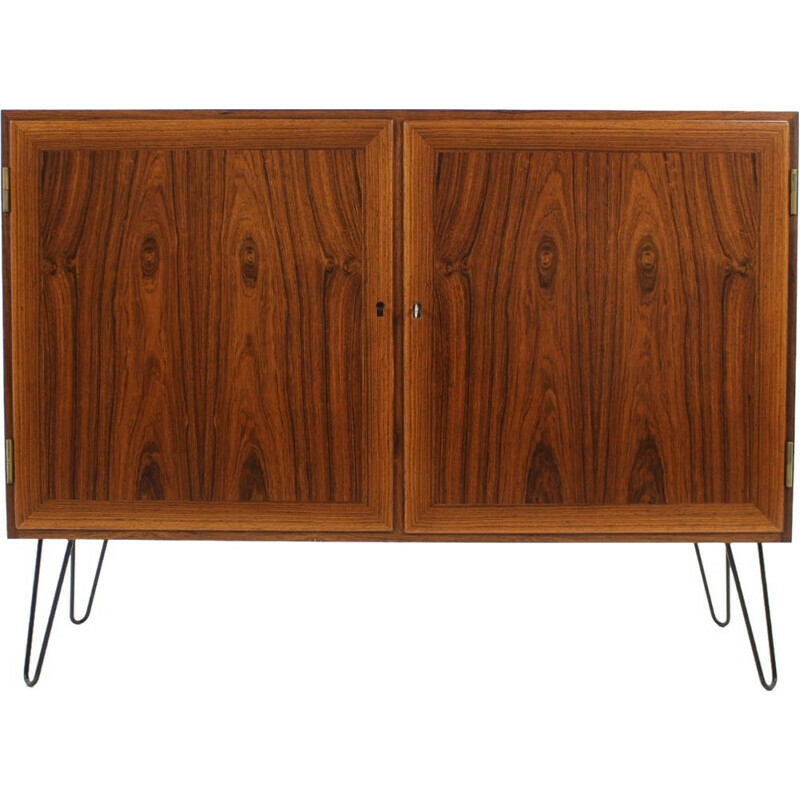 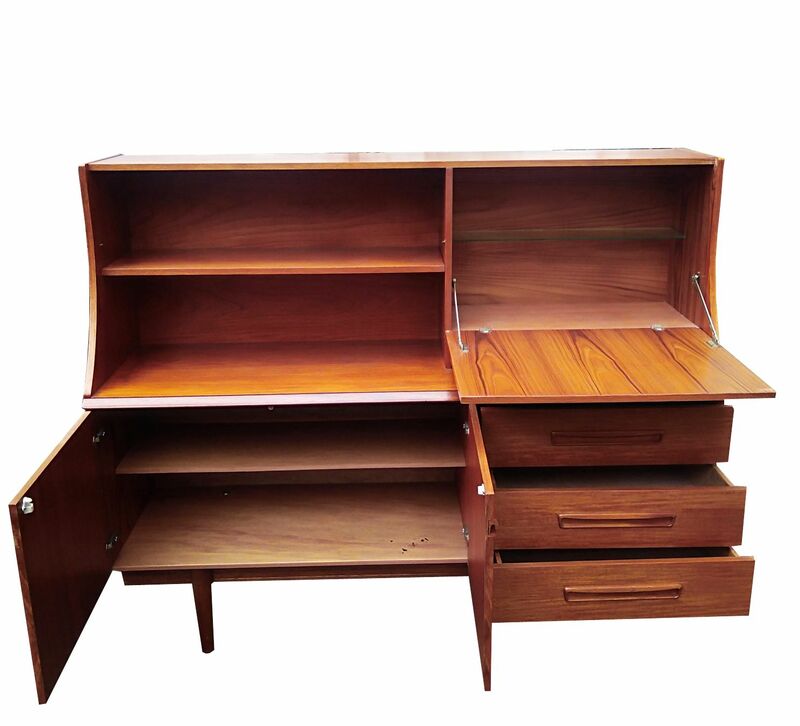 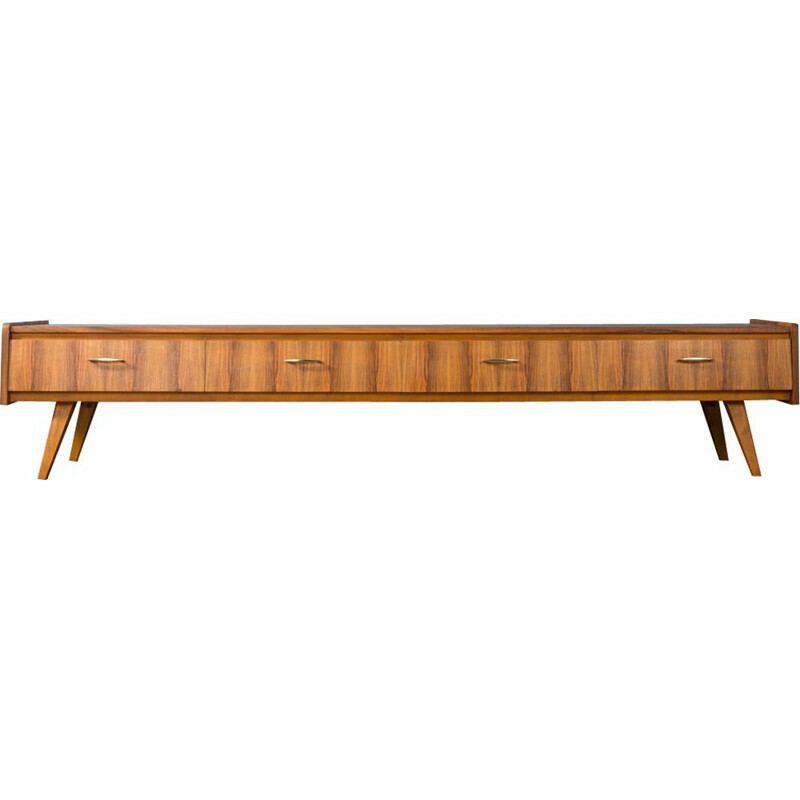 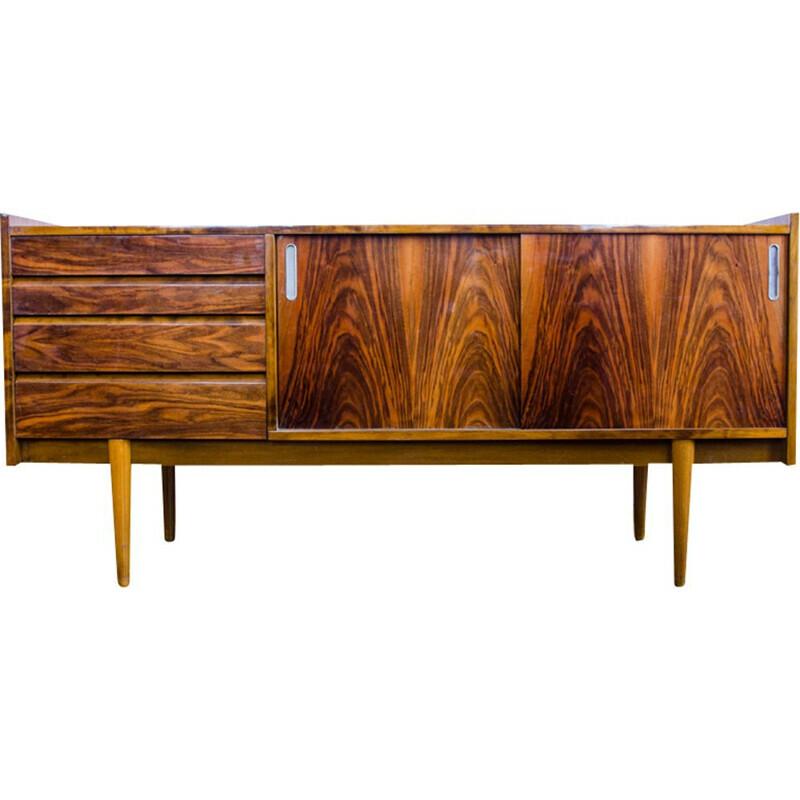 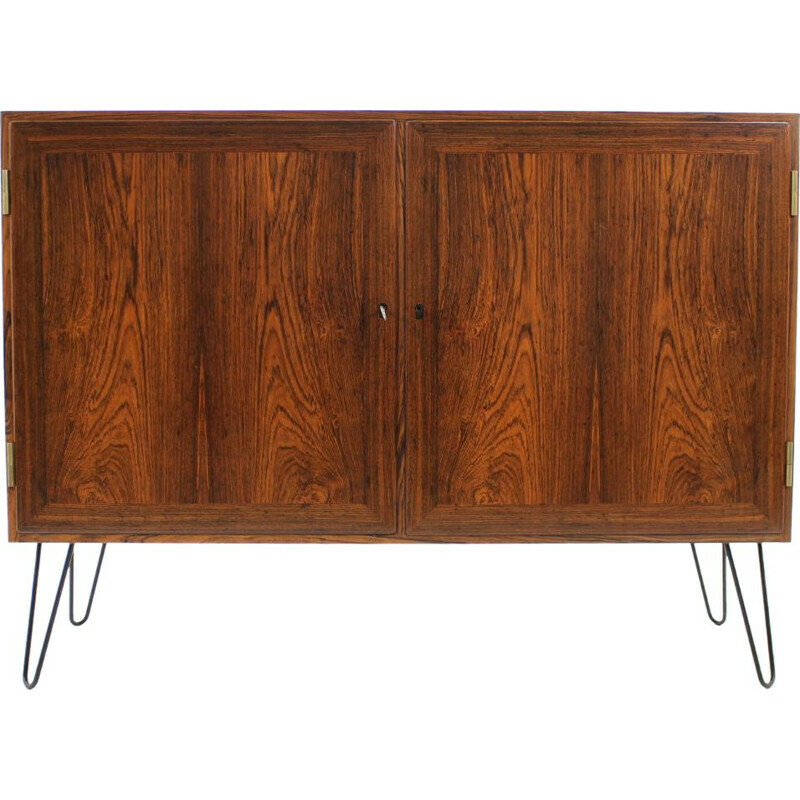 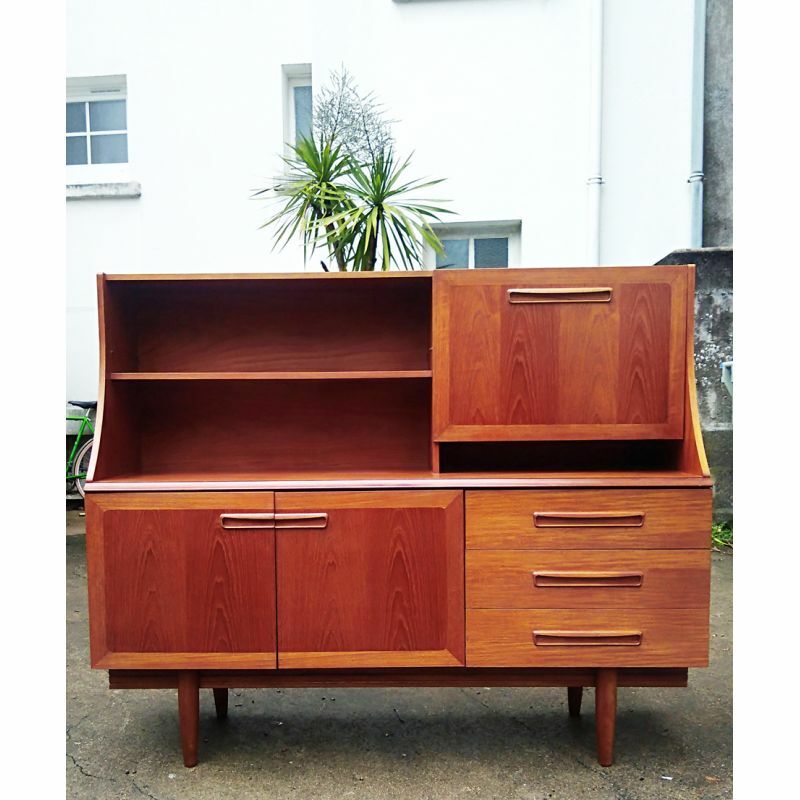 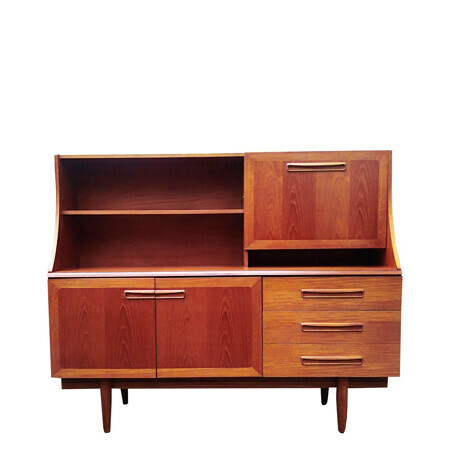 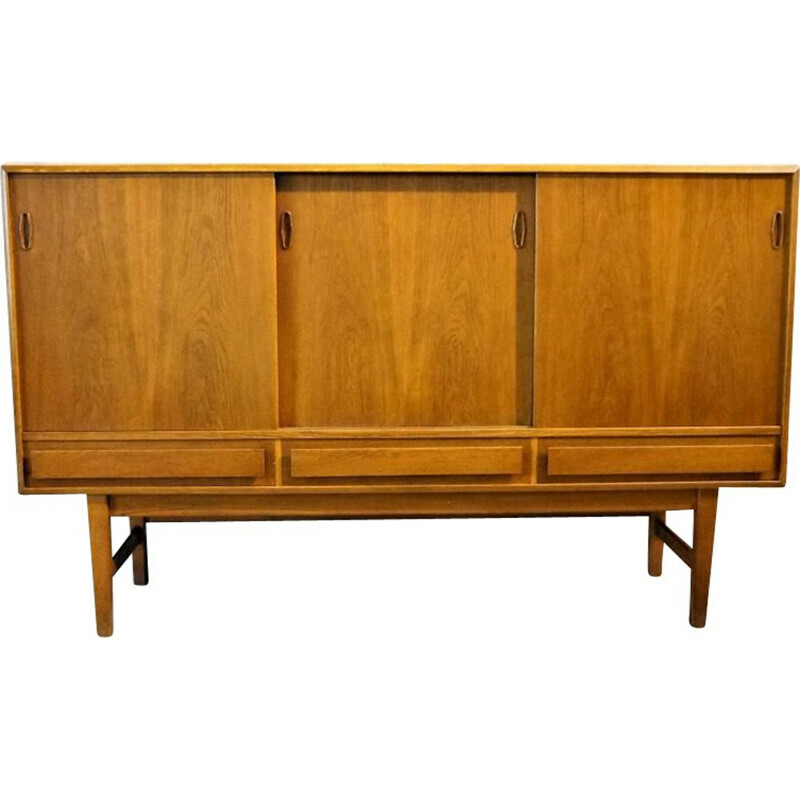 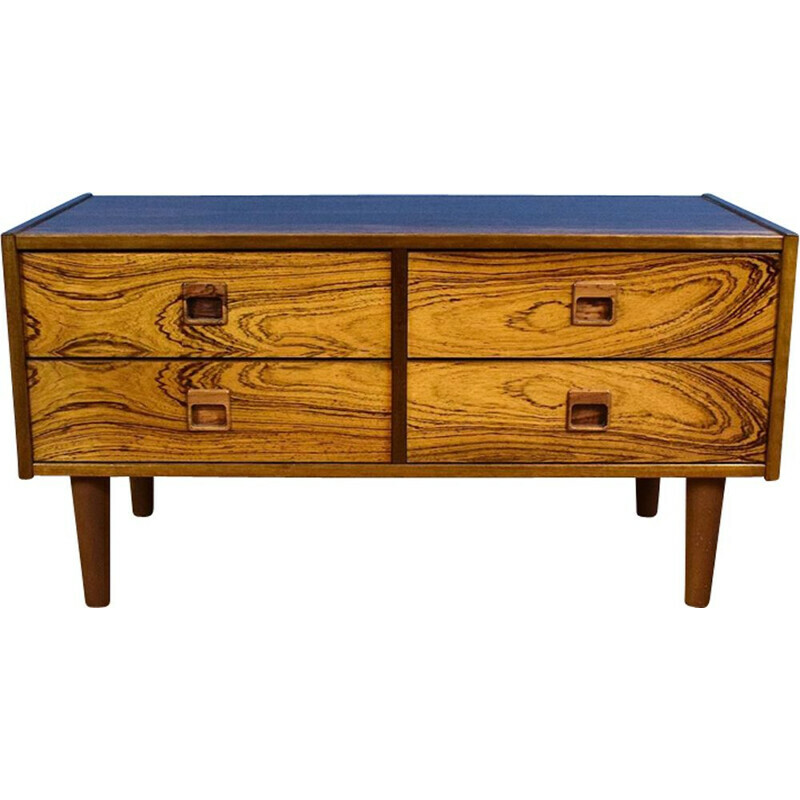 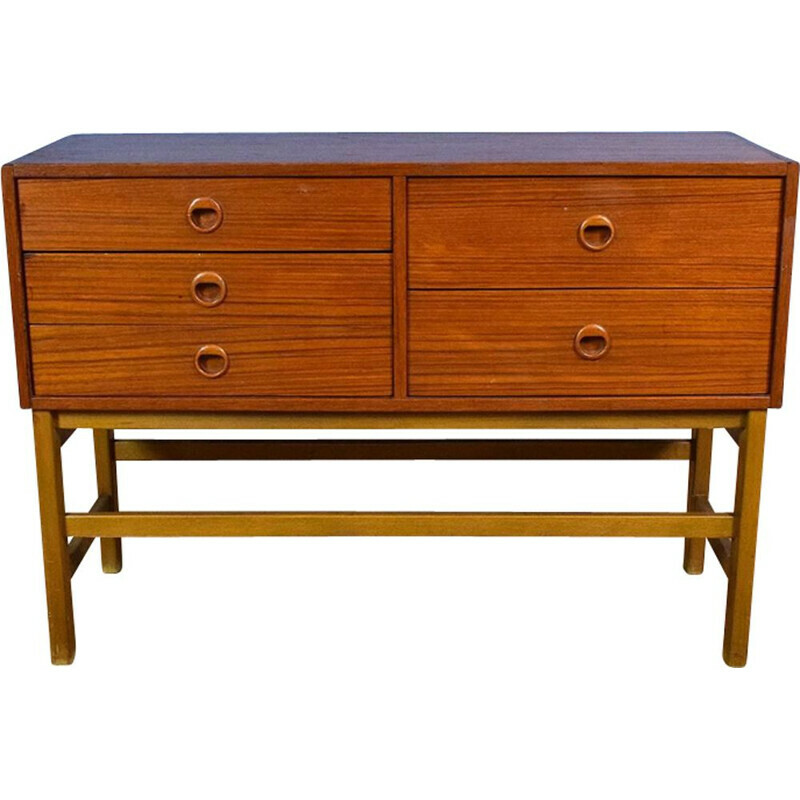 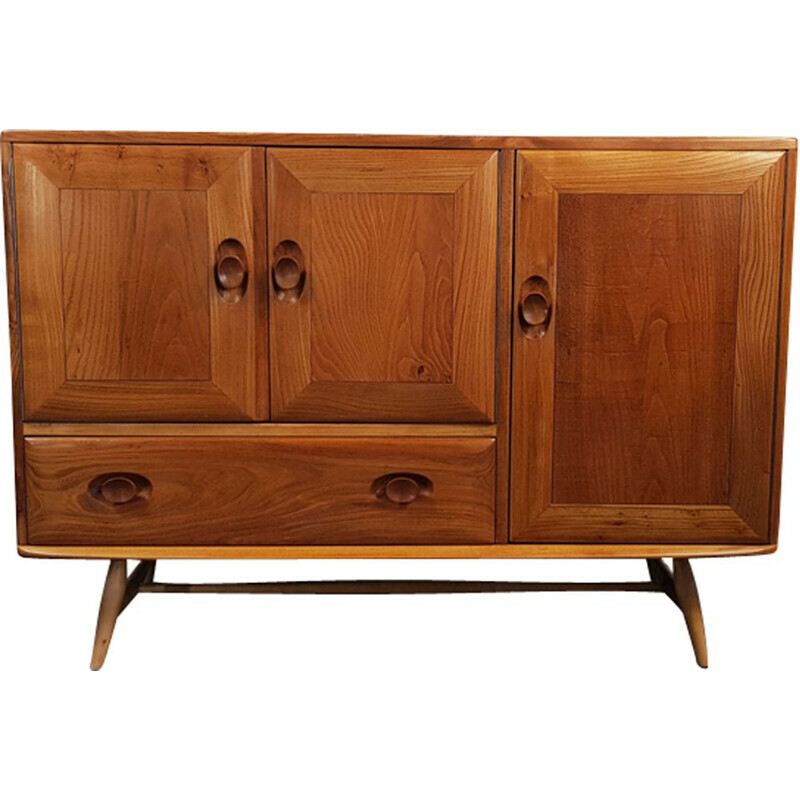 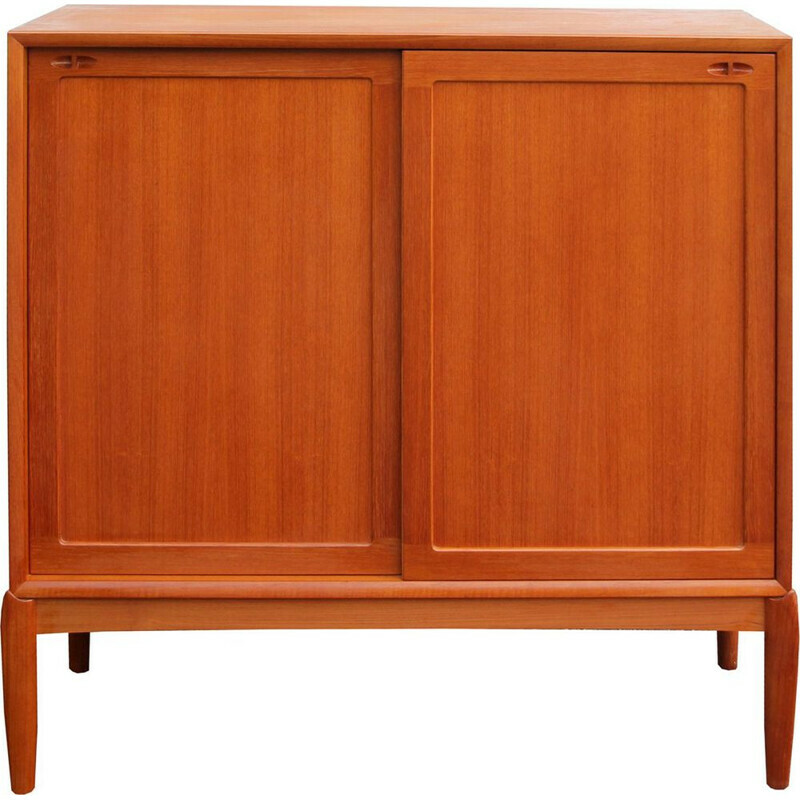 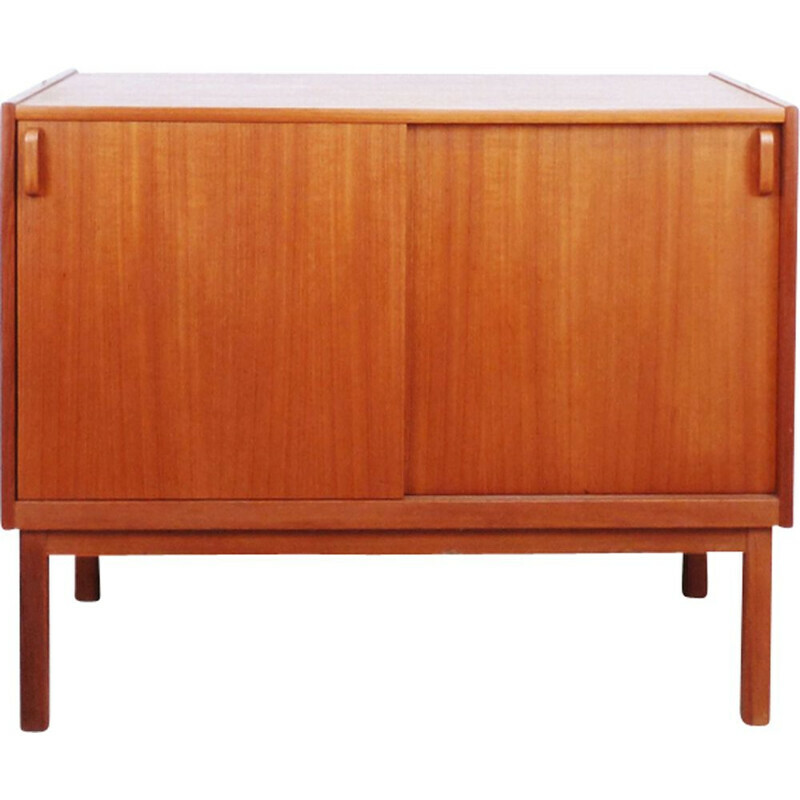 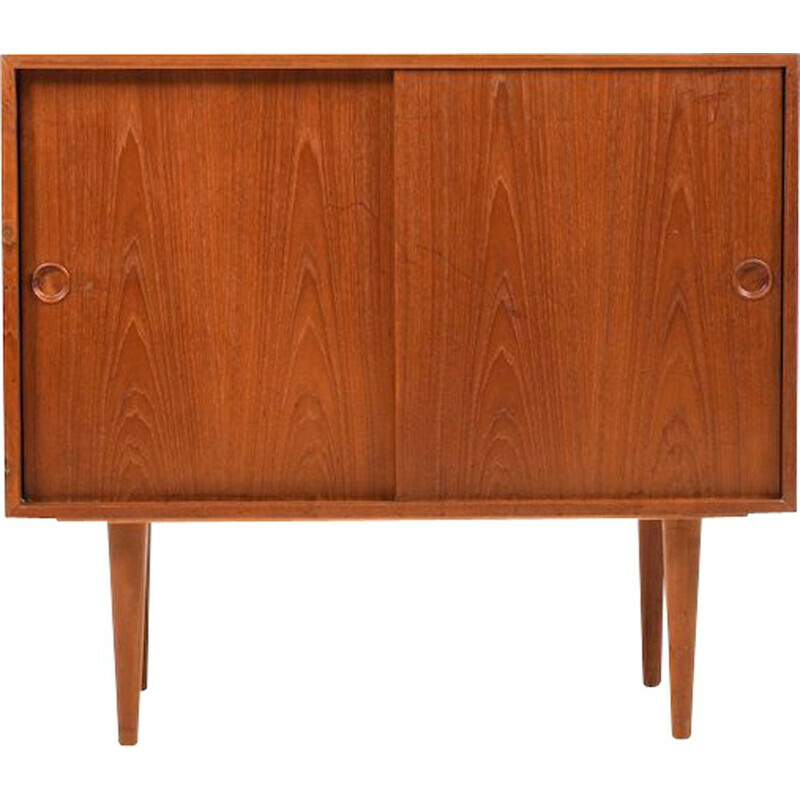 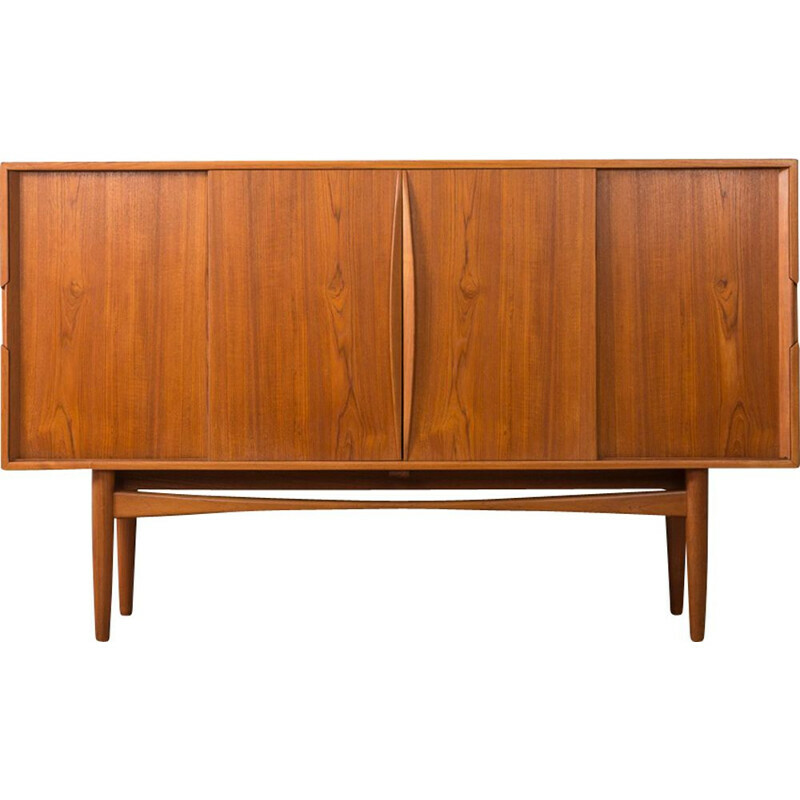 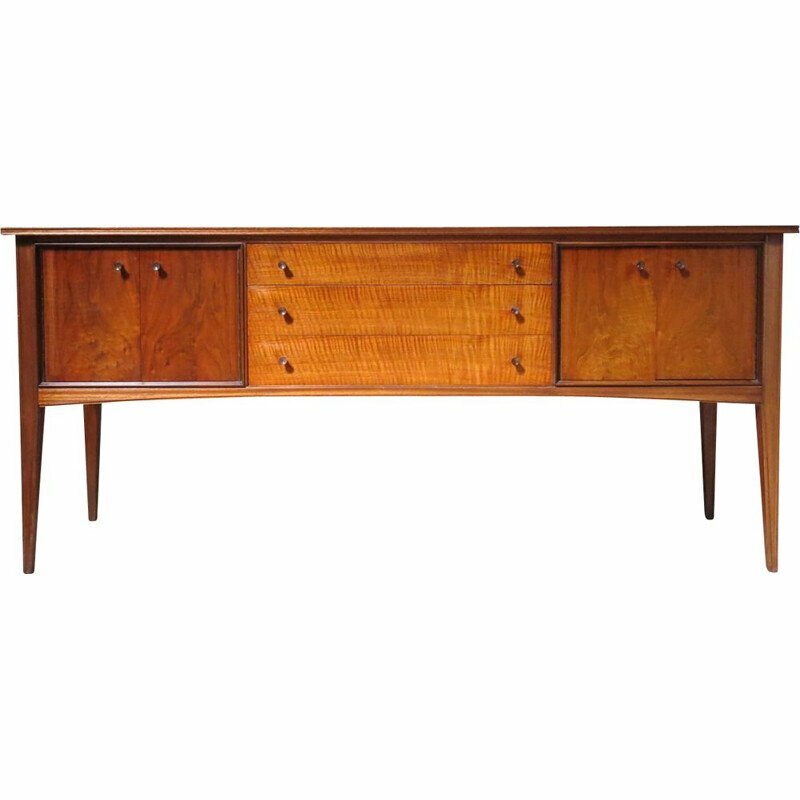 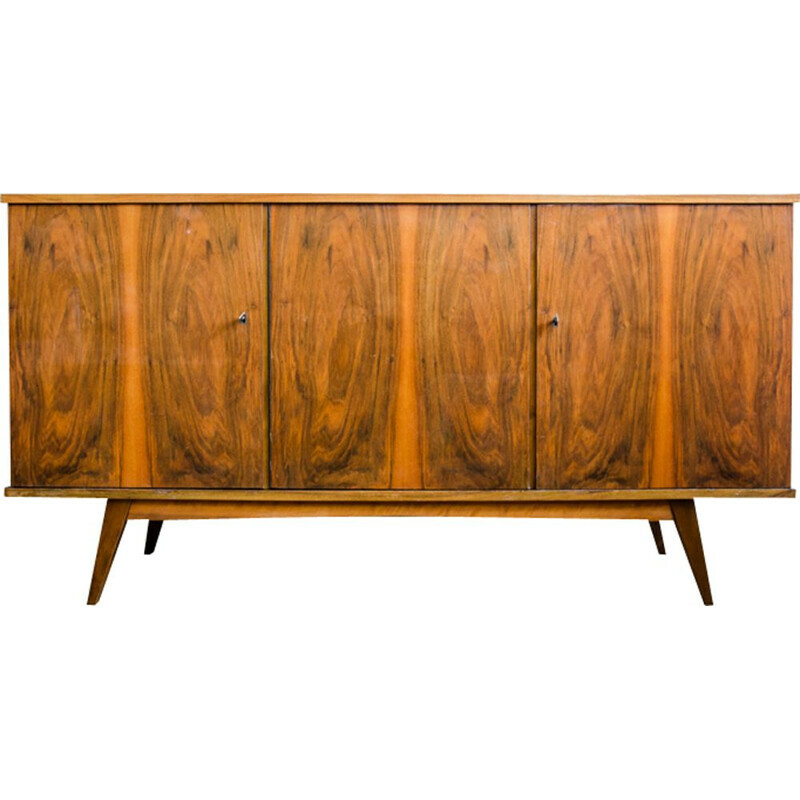 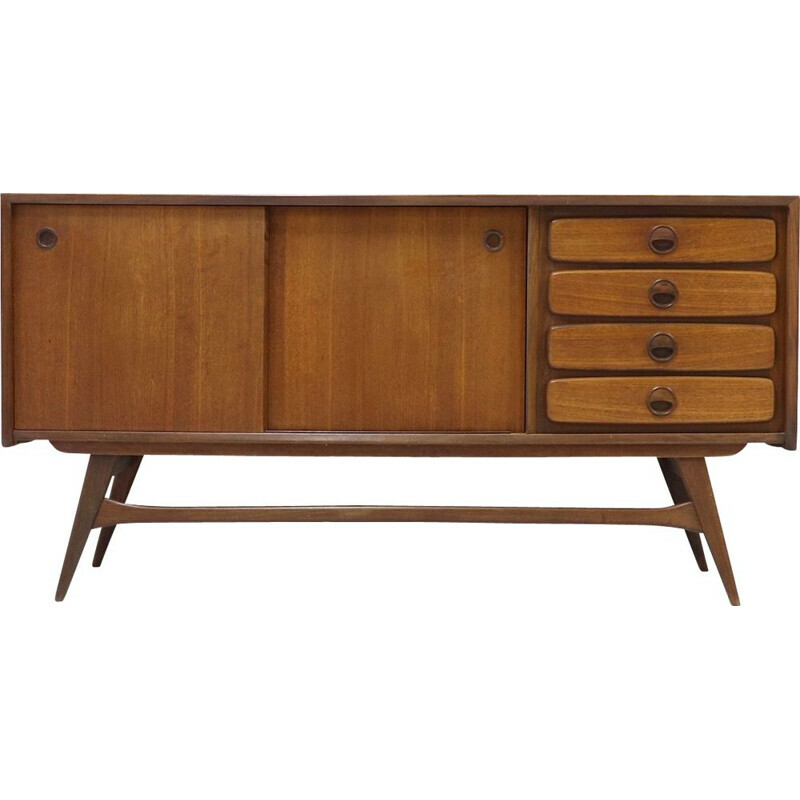 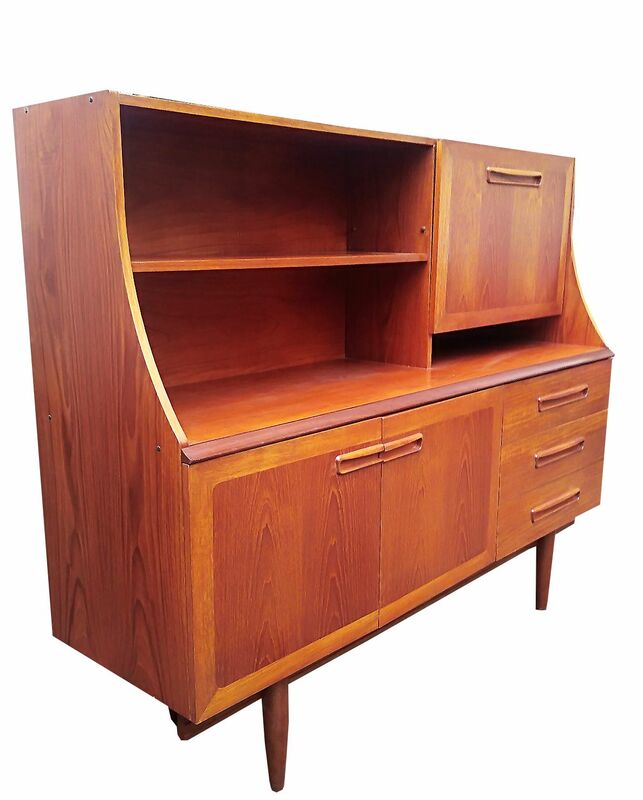 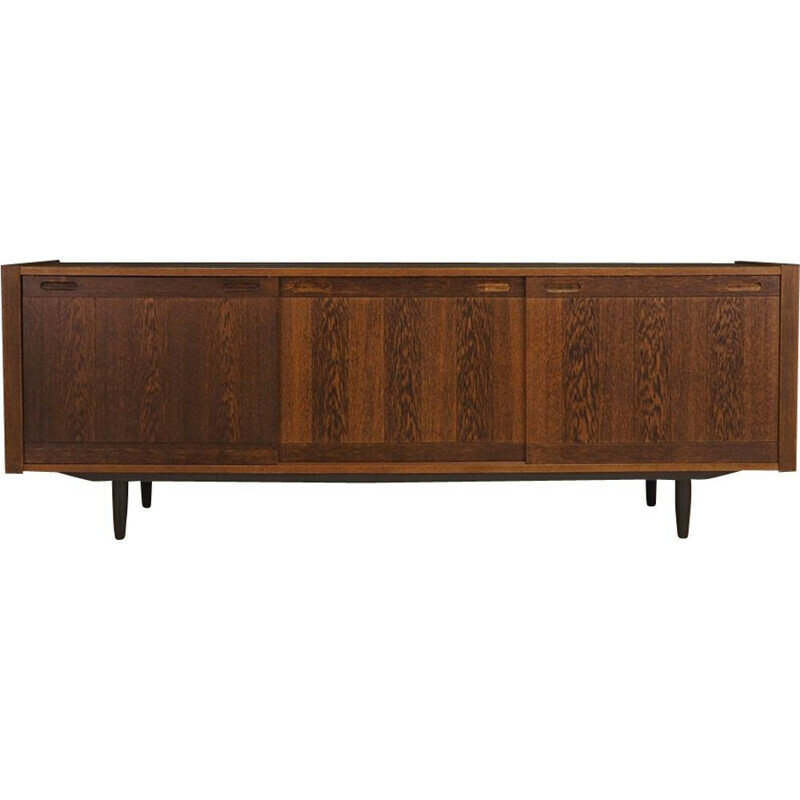 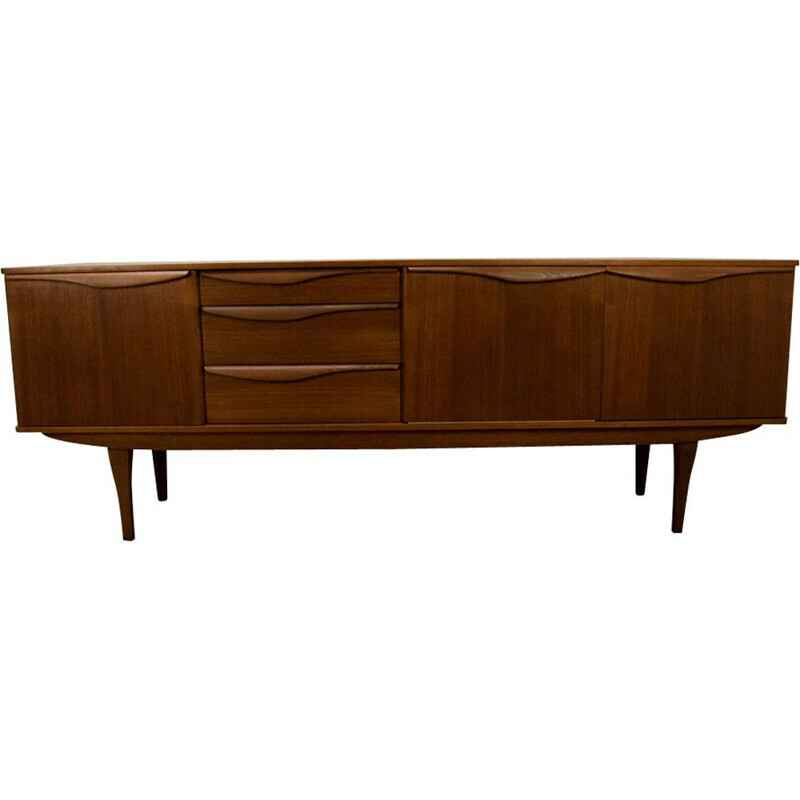 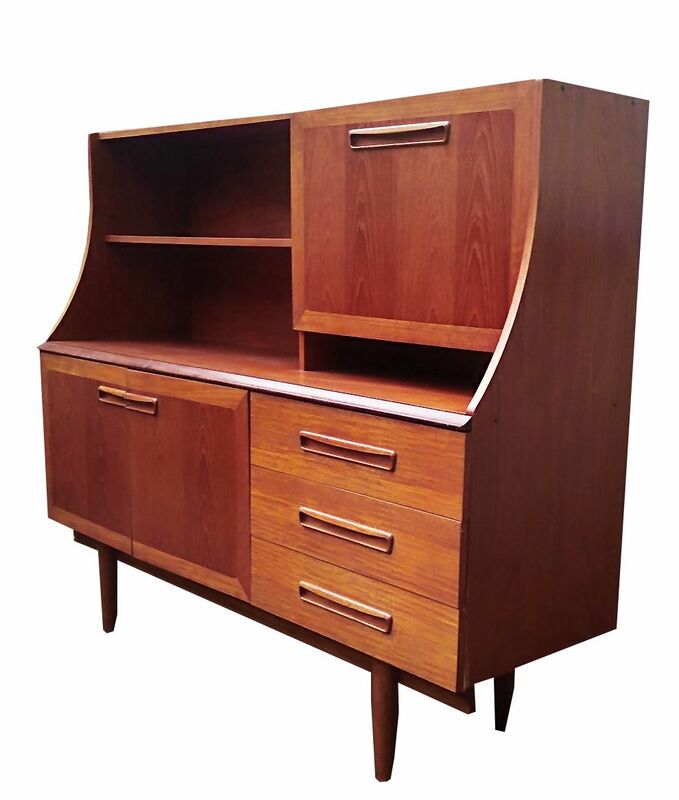 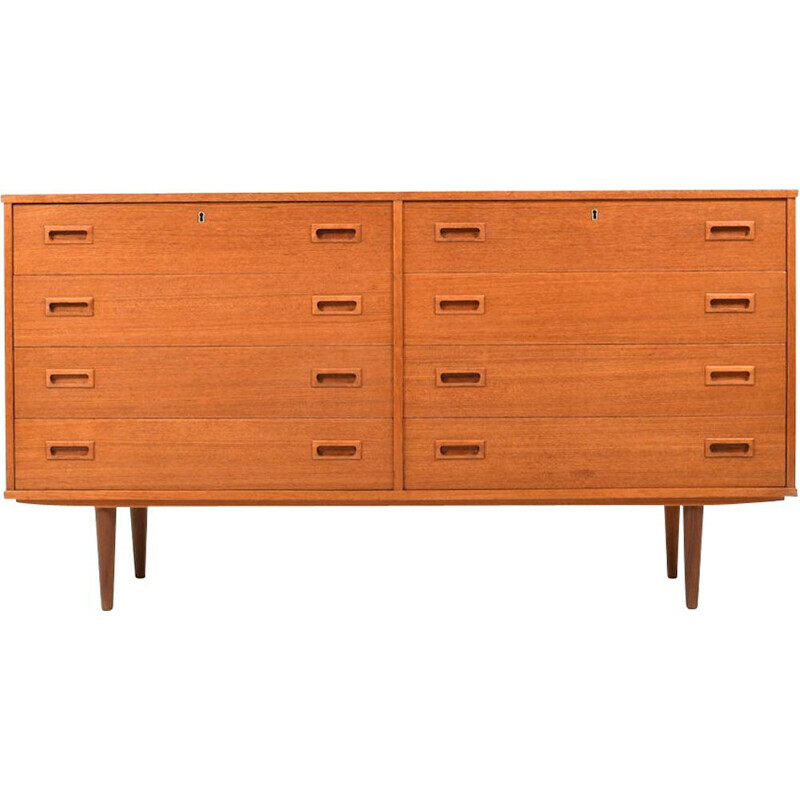 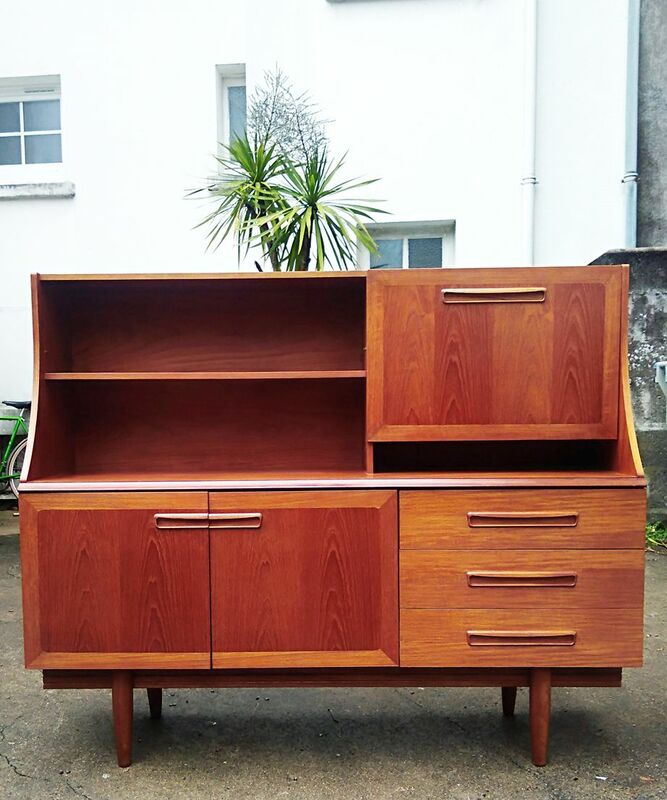 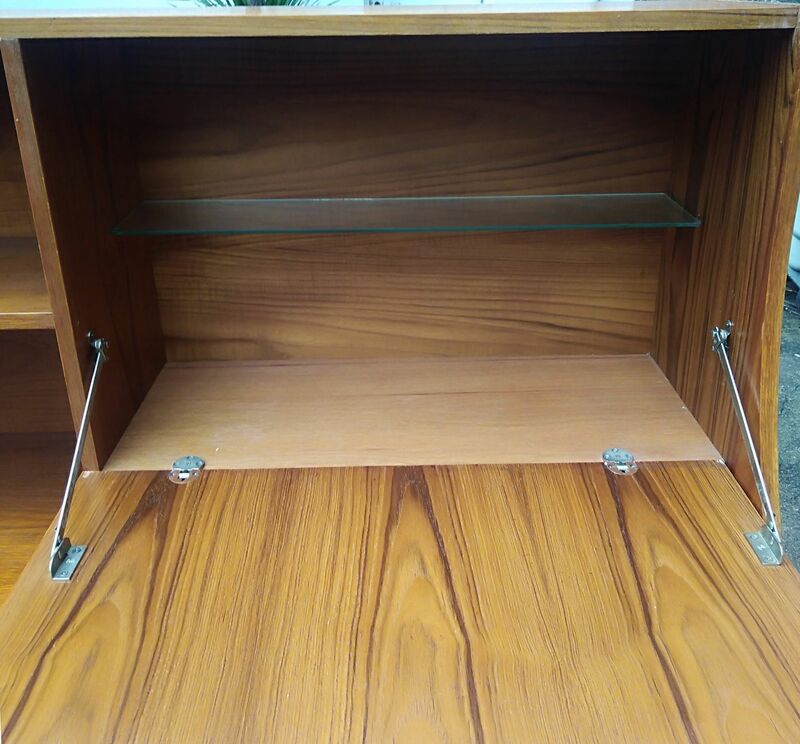 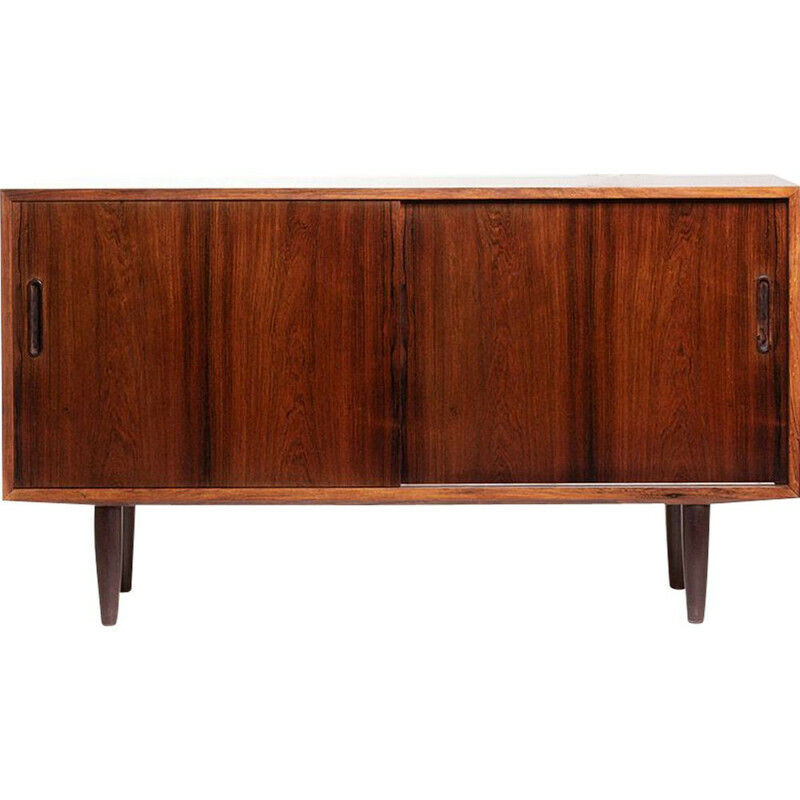 Perfect proportions for this English high sideboard in teak from the 1970s. 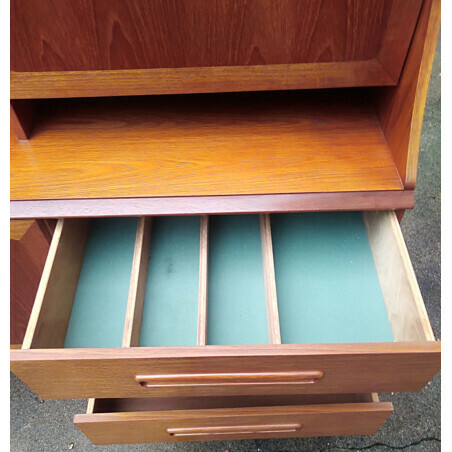 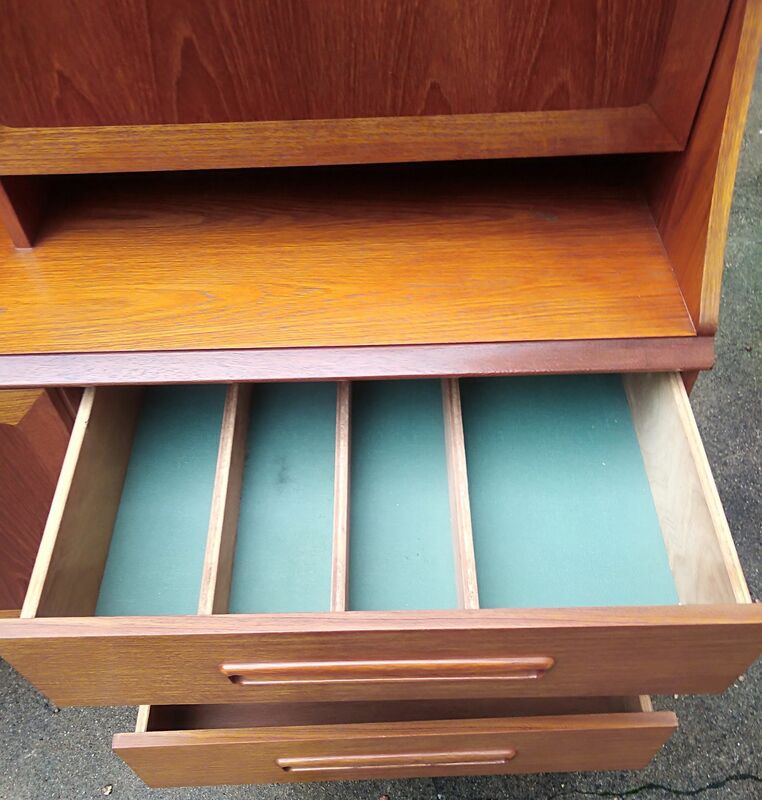 It offers plenty of storage and is in very good condition. 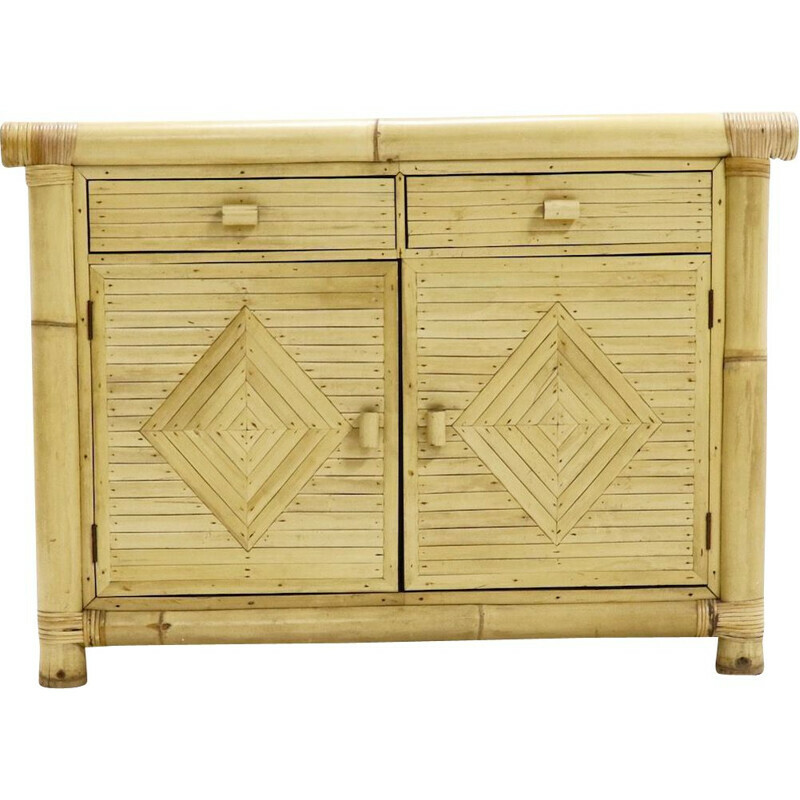 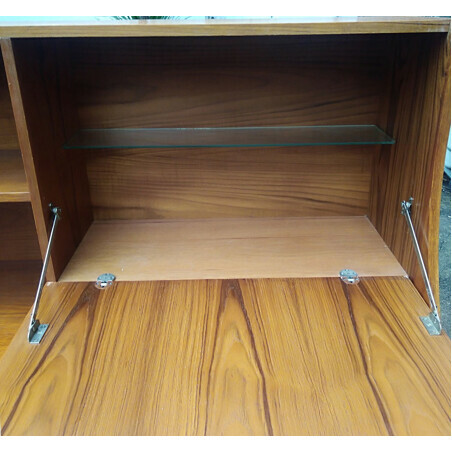 Beautiful essence of wood and nice design of the handles.